If you enjoy serving up a fine cut of meat at home, consider investing in some good quality steak knives, to take your meat eating experience to the next level of greatness. 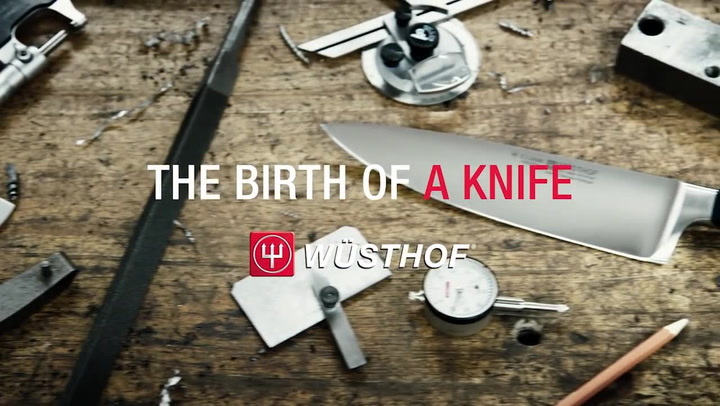 This set of knives from Wusthof is an entry level series, perfect for regular use. We recommend that, after each use, you wash your knives with warm water and a little detergent, rinse carefully and dry with a towel. Corrosive food particles will not affect your blade if washed off directly after use. View more from Steak Knives, Classic, Wusthof Gourmet. Bit expensive but worth every cent. This is truly a lifetime investment. I always wanted to invest in a steak knife set and am very happy that I chose this set. Quality for life. Cuts steak like butter and really comfortable to use. Wusthof steak knives are worth every cent. Best knives I've ever had for steak. Why didn't we get these sooner! Turfed all our old steak knives. We don't just use these knives for steak - try slicing a tomato with a regular knife after you've experienced one of these!